Principal Petra Torres welcomed students and guests to the Del Castillo Elementary grand re-opening of Cowboyville - its IBC Minitropolis - that included a $1,000 donation from the bank to help get this year’s fiscal operations underway. This is the second year for the Minitropolis which is a self-contained financial community within the campus. Del Castillo students earn Cowboy bucks based on attendance, good behavior, participation and other factors. These Cowboy bucks can then be used to purchase items at the school’s General store. 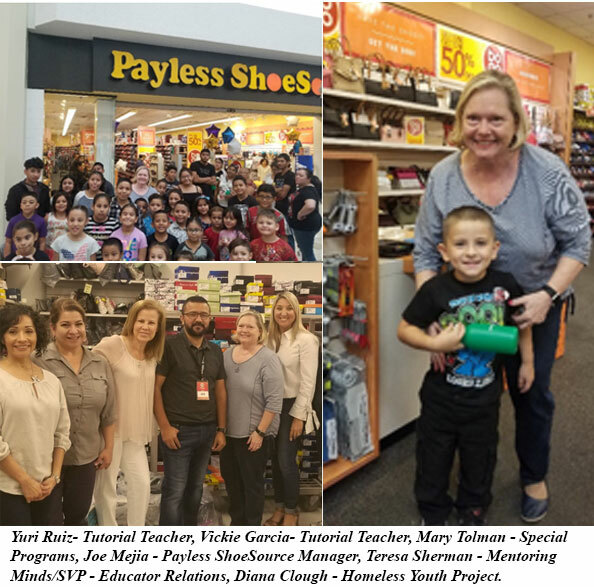 The IBC Minitropolis will be run by Fifth and Fourth grade students under the supervision of the sponsor teacher, Ms. Evelyn Cantu. Students will also be guided by Fifth Grade - Bank Presidents Noe Rodriguez and Abril Acevedo along with Fourth Grade – Bank Presidents Alexander Castillo and Aneth Ferrer. In turn they will be supported by other students who will serve as bank managers, tellers and security personnel for the Cowboyville Minitropolis. 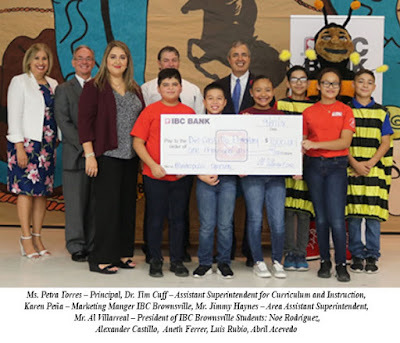 IBC Bank President, Mr. Al Villarreal, commended the school’s administration and teachers for adopting the Minitropolis concept – and he congratulated those Fifth and Fourth Grade students who had taken on leadership rules within this financial community. Mr. Villarreal explained the importance of being fiscally responsible starting with basic steps such as saving money based on goals. He noted that through their participation the students were learning in a practical way how to make better decisions when it comes to personal finances. 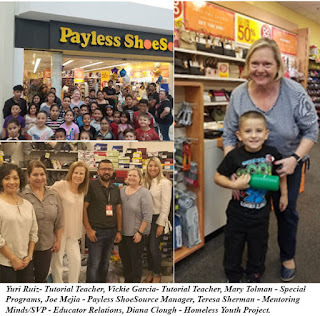 Mr. Villarreal stated he was pleased that the Minitropolis at Del Castillo Elementary was one more example of how IBC continues to work in partnership and in support of the Brownsville Independent School District. View more photos. * All Middle School Athletics for this Saturday, September 15th, have been cancelled. * All High School Volleyball games for this Saturday will be Varsity level only and at the discretion of each high school. * The Hanna ECHS football game scheduled for today has been cancelled. * The Veterans Memorial ECHS football game will be held tomorrow, Saturday, at Tom Landry Stadium in Mission at 6:00 PM. * The Porter ECHS football game will be held at La Joya Palmview on Saturday at 6 PM. * The Lopez ECHS football game will be held at Sams Stadium on Saturday at 6 PM. 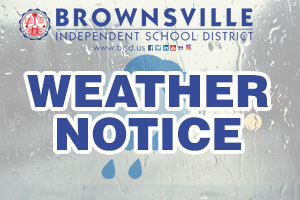 BISD schools and offices will be open today. 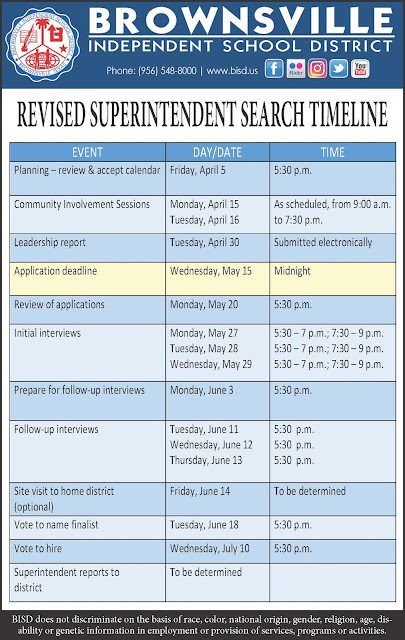 As of this time all normal schedules will be followed. For the last few days I have received numerous calls from parents regarding the bands playing at football games. The concerns centered on the new scoreboard. The addition of scoreboard ads was never intended to interfere with the usual routines of high school bands during football games. No directive was ever sent by me nor any assistant superintendent that the band should stop playing if an ad started. I have met with the high school band directors to assure them that the managing of the scoreboard has been fine-tuned to avoid any interruptions of band performances. The band directors offered great suggestions to ensure a smoother operation that supports the band program. They brought significant experience to the table since their bands play in many high school stadiums that currently carry similar scoreboard advertising. We invite our BISD community to attend this week’s home football games to celebrate the great work our teams, bands, cheer and dance students contribute to our district. Come and see that at BISD our students are first and foremost in all our events.